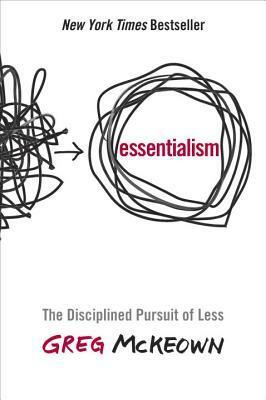 Essentialism is about doing more with less, and more importantly, it’s about doing the right things and not wasting time on the things that don’t matter. Your time and energy are precious; this book will teach you how to spend it in the ways that benefit you the most. We’ve compiled all the advice in this book into habits and actions that will increase your happiness, improve your productivity, hone your problem-solving skills, and more! Implementing even one of these habits/actions in your life will make a significant positive difference. Greg McKeown is a business writer, consultant, and researcher specializing in leadership, strategy design, collective intelligence, and human systems. He has authored and co-authored several books, including the Wall Street Journal bestseller Multipliers: How the Best Leaders Make Everyone Smarter (Harper Business, June 2010), and several journal articles. Originally from England, he is now an American citizen, living in Menlo Park, California. McKeown holds a B.A. in Communications (with an emphasis in journalism) from Brigham Young University and an MBA from Stanford University. Decide your team’s essential intent.